NCERT Exemplar Class 10 Science is very important resource for students preparing for X Board Examination. 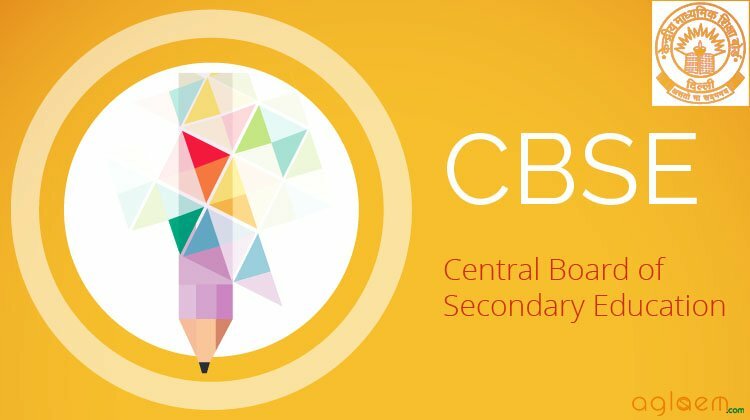 Here we have provided NCERT Exemplar Problems Solutions along with NCERT Exemplar Problems Class 10. Question from very important topics are covered by NCERT Exemplar Class 10. You also get idea about the type of questions and method to answer in your Class 10th examination. Here you can get Class 10 Important Questions Science based on NCERT Text book for Class X. Science Class 10 Important Questions are very helpful to score high marks in board exams. Here we have covered Important Questions on Acids, Bases and Salts for Class 10 Science subject. Science Important Questions Class 10 are given below. To protect tooth decay we are advised to brush our teeth regularly. Which of the following statements is correct about an aqueous solution of an acid and of a base? Which of the following phenomena occur, when a small amount of acid is added to water? Which one of the following can be used as an acid–base indicator by a visually impared student? Which of the following substance will not give carbon dioxide on treatment with dilute acid? Which of the following is acidic in nature? 20. 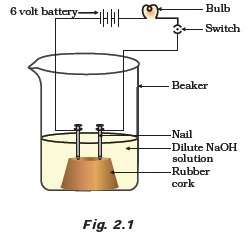 In an attempt to demonstrate electrical conductivity through an electrolyte, the following apparatus (Figure 2.1) was set up. Which among the following statement(s) is(are) correct? Which of the following is used for dissolution of gold? Which of the following is not a mineral acid? Which among the following is not a base? Which of the following is(are) true when HCl (g) is passed through water? Which of the following statements is true for acids? Which of the following are present in a dilute aqueous solution of hydrochloric acid? What will be the action of the following substances on litmus paper? Dry HCl gas, Moistened NH3 gas, Lemon juice, Carbonated soft drink, Curd, Soap solution. Name the acid present in ant sting and give its chemical formula. Also give the common method to get relief from the discomfort caused by the ant sting. What happens when nitric acid is added to egg shell? A student prepared solutions of (i) an acid and (ii) a base in two separate beakers. She forgot to label the solutions and litmus paper is not available in the laboratory. Since both the solutions are colourless, how will she distinguish between the two? How would you distinguish between baking powder and washing soda by heating? hardness of water and a gas C is evolved. The gas C when passed through lime water, turns it milky. Identify A, B and C.
What are strong and weak acids? In the following list of acids, separate strong acids from weak acids. Hydrochloric acid, citric acid, acetic acid, nitric acid, formic acid, sulphuric acid. When zinc metal is treated with a dilute solution of a strong acid, a gas is evolved, which is utilised in the hydrogenation of oil. Name the gas evolved. Write the chemical equation of the reaction involved and also write a test to detect the gas formed. 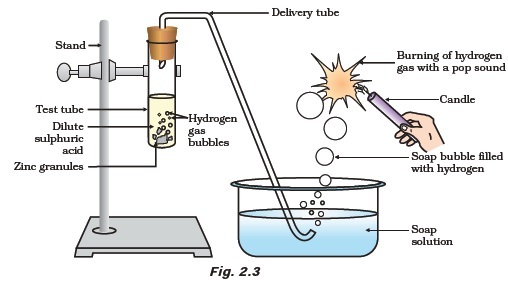 In the following schematic diagram for the preparation of hydrogen gas as shown in Figure 2.3, what would happen if following changes are made? (d) Sodium hydroxide is taken in place of dilute sulphuric acid and the tube is heated. (a) how will it affect the taste of the cake and why? (b) how can baking soda be converted into baking powder? (c) what is the role of tartaric acid added to baking soda? A metal carbonate X on reacting with an acid gives a gas which when passed through a solution Y gives the carbonate back. On the other hand, a gas G that is obtained at anode during electrolysis of brine is passed on dry Y, it gives a compound Z, used for disinfecting drinking water. Identity X, Y, G and Z.
equation for one such solution. A sulphate salt of Group 2 element of the Periodic Table is a white, soft substance, which can be moulded into different shapes by making its dough. When this compound is left in open for some time, it becomes a solid mass and cannot be used for moulding purposes. Identify the sulphate salt and why does it show such a behaviour? Give the reaction involved. Identify the compound X on the basis of the reactions given below. Also, write the name and chemical formulae of A, B and C.